For the first time, the Pinoy music icons of the ’70s are coming together to relive the days when OPM dominate the music scene in the country. 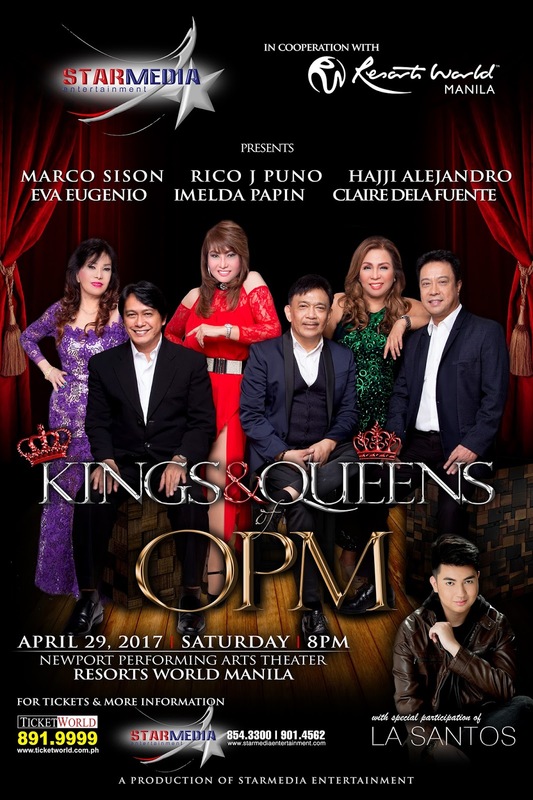 On April 29 at the Newport Performing Arts Theater in Resorts World Manila, Rico J. Puno, Hajji Alejandro, Marco Sison, Claire Dela Fuente, Eva Eugenio, and Imelda Papin come together for a concert that will help the audience understand why they are the so-called the Kings and Queens of OPM. The ’70s, to pop music observers, is the Golden age of Original Pinoy Music (OPM). It was at this time when the musical genre was born, the Manila Sound. It was also when artists like Rico, Hajji, Marco, Claire, Eva, and Imelda became the most popular singing artists all with their own brand of music, particularly singing heartfelt soulful ballads, that became big hits among Filipinos. If asked how popular and impactful their songs were, it would be safe to say that each of those hit tunes had been, at some point, a theme song of the listener’s life. 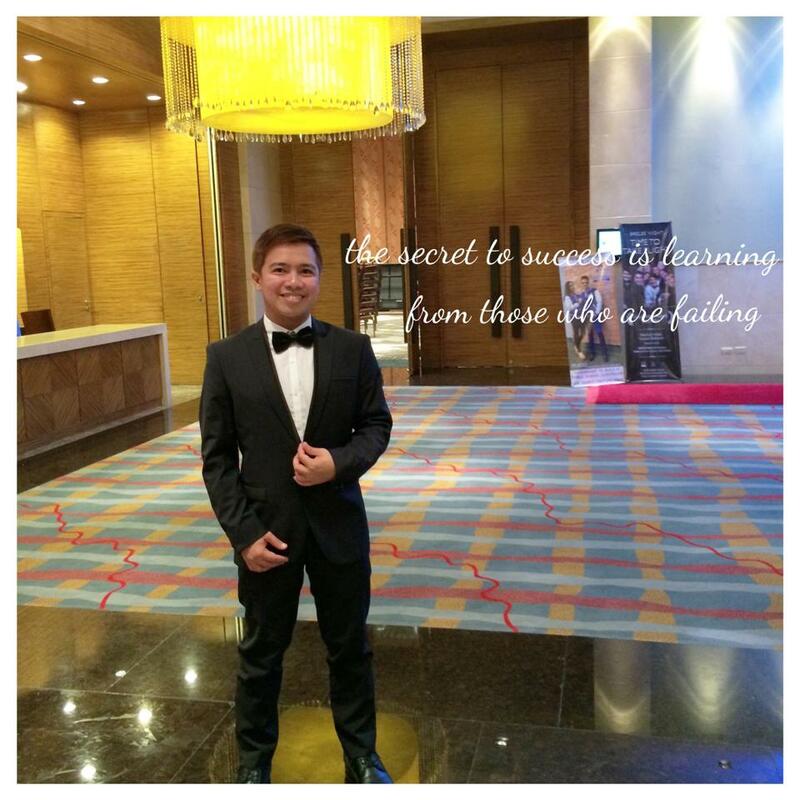 If one were feeling hopeless, Rico J. Puno had the answer to lift them up. “May Bukas Pa”, he would sing. And if one felt the confidence exuded by the Total Entertainer, “Macho Gwapito” was their anthem. 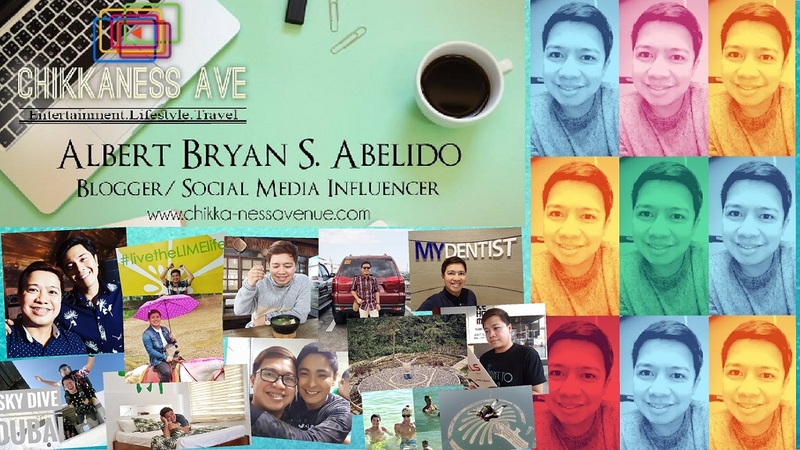 To the teenage girls looking to have a little kilig in their lives, they need only to see and hear the “Kilabot ng mga Kolehiyala” Hajji Alejandro singing his hits like “Nakapagtataka” and “Panakip Butas”. On the other hand, Marco Sison’s songs like “My Love Will See You Through” and “Always” touched the hearts of those hopeful in love. And in this day and age where “#hugot” songs are widely embraced to express what we feel, let’s not forget the ladies whose songs of love and heartbreak were and still are the favorite ones to play in our beloved Jukebox players. Claire Dela Fuente, dubbed as the “Karen Carpenter of the Philippines” and “Asia’s Sweetest Voice” gave us “Sayang,” for those who have found love at the wrong time. Now, imagine a wonderful Saturday night with all these songs (and more!) sung live by the legends themselves. Expect a spectacular offering from Rico, Hajji, Marco, Claire, Eva and Imelda as they headline a show together for the very first time. Ease on down memory lane as they sing the songs that’ll take you back to the good ol’ days - songs that have touched the hearts of many and indeed are truly deemed timeless! The Kings and Queens of OPM will be joined by Gerry Matias as musical director and Freddie Santos as stage director. The show also features rising star L.A Santos as a guest performer. Tickets are now available at all Ticketworld Outlets (www.ticketworld.com.ph | 891-9999), SM Tickets (www.SMtickets.com | 470-2222), Resorts World Manila Box Office and Starmedia 854-3300 or log on to www.starmediaentertainment.com. Kings and Queens of OPM is for the benefit of Rotary Club of Makati East, Rotary Internationa,l and Association of Chiefs of Police of the Philippines Inc. Affiliated Non-Government Organizations (ACPPIAN). 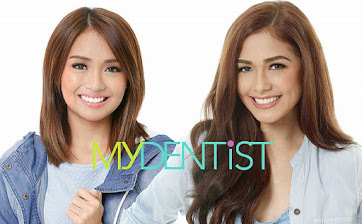 It is a production of Starmedia Entertainment.